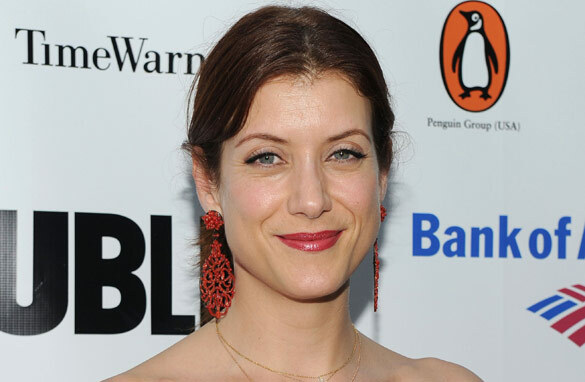 Kate Walsh first captured the world's attention as a tough physician in the hit show "Grey's Anatomy." Afterwards she went on to star in her own show, "Private Practice." She's also written a book and created her own perfume line. But today the hollywood fashion-icon is teaming up with environmental organization, Oceana, to the make the case against the expansion of offshore drilling. April 20 marked the one year anniversary of the BP oil spill and Walsh is in Washington DC to advocate her cause. This is your chance to send in your questions for Kate. I'd like to ask Kate the following: there's a very strong 'relationship' between government and oil companies. How can Oceana (or any other organization) create a sense of awareness in govt when so many oil dollars go to re-elect politicians? How do we change their minds? Kate: What drives you to be so selfless and caring, and give you precious time to charities and events such as helping Oceana prevent off sure drilling... it's commendable, especially when you could be vacationing during your hiatus! What keeps you fighting? If the US agree to stop off shore drilling, then a myriad of down the line jobs will be lost. In the current economic climate how can this be good for the American economy?? If the drilling is ceased it will be perceived as a huge victory for the environment, however there will be less funds in the governments coffers, thru less taxes paid by the workers who have lost their jobs, by the companies who have closed down etc.... This in turn will affect funding for projects, many of which will be vital environmental projects. Are we cutting off our nose to spite our face here? Did you always have an interest in environmental affairs or was this something that came later? Did you always plan to use your celebrity status for this cause, or another? you are as always ' exceptionally sweet '..Thanks for being here. Many roses to you and family. Kay Scarpetta, I feel this is a role you will deliver with great finesse! choose for Marino's & Lucy's character roles? Keep up the great work you do, best of health and happiness. Lots of beneficial reading here, thanks! I had been researching on yahoo when I uncovered your submit, I’m going to add your feed to Google Reader, I look forward to a lot more from you. –	How will Oceana Improve our World Against the expansion of offshore drilling in The Pacific Ocean Ring of Fire, which is an Area where Large Numbers of Earthquakes and Volcanic Eruptions Occur in the Basin of the Pacific Ocean? I am awaiting Kate Walsh’s replies.